I'm not sure when it happened, but at some point I turned into a sap. Happy, sad, uplifting - it doesn't matter the topic, but when I hear stories in the news or on television about people who take a difficult situation and use their determination and energetic nature to push through it... well, I always have to hide the fact that I get all sniffly and teary from my husband because otherwise he'll just roll his eyes at me. Fortunately for those inspirational people, Energizer has the perfect way to recognize them and their accomplishments (hopefully minus my pile of tissues) in their Energizer Keep Going Hall of Fame. Created to provide a place where the positive stories of everyday people can inspire others to make a change, the Energizer Keep Going Hall of Fame celebrates those that live with the unstoppable energy, enthusiasm and passion of the Energizer Bunny. As the first member of the Energizer Keep Going Hall of Fame six years ago, Cal Ripken, Jr. is helping lead the search for the next Inductee. Along with having a record 2,632 consecutive games under his belt, after retiring from the Major Leagues Cal has devoted the same boundless energy to doing good work in communities nationwide. 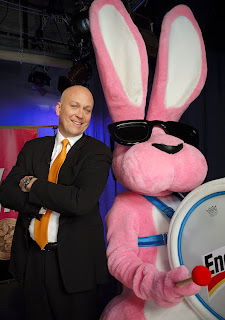 This year, as Energizer is continuing its search, Cal Ripken, Jr. and the Energizer Bunny are looking for stories of not only those with endless energy, but also those who have helped change the world for the better. It's a part of Energizer's Now That's Positivenergy campaign to help everyday citizens channel their power to make a positive impact, whether it be in their local community or around the world. Looking at previous Inductees, it is easy to see why they were selected as embodying the unwavering determination, energetic spirit and the drive that Energizer is looking for. Last year's Inductee, Jennifer Goodman Linn, is a six-time cancer survivor and founder of the Cycle for Survival team cycling relay event that is now one of the fastest-growing cancer research fundraisers in the country. In 2009, Dee Mills, a Gold Star Mother who lost her son Lea in Iraq, was honored for her work with Lea's Prayers & Postage - founded in her son's honor to fund postage for care packages shipped to troops overseas. And, in 2008, Ron Bachman proved that even after the amputation of both of his legs as a child, that it didn't hold him back from growing up to become a speaker and motivator to help educate children on how to overcome challenges and stay confident. Am I the only one starting to get a little teary-eyed reading these amazing accomplishments? 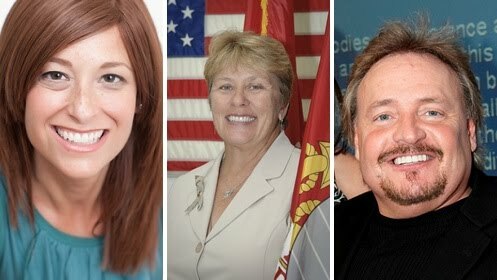 So, how can you be a part of continuing the Energizer Keep Going Hall of Fame's goal to have a place where the stories of these courageous, never-quit individuals can live on? By nominating yourself or someone you know! 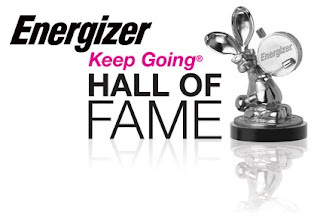 From now through February 4, 2011, people are invited to enter their own personal stories or nominate someone they know who meets the criteria to be considered for the Energizer Keep Going Hall of Fame. Once the nomination period ends, a panel of judges will narrow the field to 100 Semifinalists who will be honored in their hometowns. The judges will then select nine Finalists and Energizer Bunny Facebook fans will vote for the 10th Finalist from March 17 - 25, 2011. Each Finalist will receive a $1,000 donation to his or her charity of choice! Next, all 10 Finalists' names and stories will be posted to the Hall of Fame, at which point the public will be given the chance to select the 2011 Inductee through an online vote from April 4 through May 13. Each time you vote on a Finalist, a $1 donation from Energizer to the Cal Ripken, Sr. Foundation will be made, up to $10,000, so you'll be helping kids in distressed communities connect with mentors even just by voting for your favorite Finalist! The winning nominee will attend a special induction ceremony with Cal Ripken, Jr. at the Energizer Keep Going Hall of Fame (located in St. Louis) and will receive a $10,000 cash award and an additional $5,000 donated to the charity of his or her choice. Pretty amazing, right? To find out more and to see past Inductees and Finalists, visit the Energizer Keep Going Hall of Fame or the Energizer Bunny on Facebook. 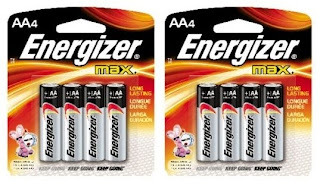 One lucky person will win two four-packs of Energizer Max AA batteries! To enter to win: Tell me about the person in your life who displays the drive, energy and passion of the Energizer Keep Going Hall of Fame. 1 Extra Entry (per method) if you Like the Energizer Bunny on Facebook and/or follow on Twitter. 3 Extra Entries if you blog about this giveaway linking back to Thanks, Mail Carrier and the Energizer Keep Going Hall of Fame. Please leave an address where it can be found. A big thank you to Energizer for providing two four-packs of AA batteries for me as well as for one lucky giveaway winner. The opinions shared are my own and honest if you really need to see more, click here to see how I roll. My 4 year old son is very outgoing, motivated and is like the bunny! My sister in law is amazing. 5 kids, carting her children all over the place, a work at home job, a work out of home job, a leadership role at church. it goes on and on. My mom! With 7 kids and 19 grandchildren, she still insists on hosting all the holidays at her house. She makes every one of us feel special. I wish I had half her energy! My neighbor is in her 80's and still going strong. Sometimes I think she has more energy than I do. My husband is amazing and has so much drive to keep being successful! I entered the SMooth Away giveaway. My mom definitely keeps going...she takes care of our whole family all of the time, often putting herself last. My German teacher in high school is the epitome of the type of person the hall of fame looks for. He cared so much for each of his students and left such an impact on me because of his passion to teach that I still think of him almost daily...6 years later. I entered you Shenzhen Knives giveaway. My husband is incredibly passionate about his family and his job and he continues to excel at everything he does because he desires to do everything to the best of his ability. He is absolutely amazing!!! Great post, very informative. You did well! I learned a lot today about Energizer. I am passionate for running. My kids :) they both have diffrent health challanges and they just keep going and going it takes alot to slow them down! My mom at age 72 she plays on a tennis league and a bowling league she takes care of my uncle which is her brother who was totally paralyzed 2 years ago in a diving accident. she also cooks for everyone skin cancer survivor and I can honestly tell you I have never ever heard her complain she is the most awesome mom and woman on earth so caring and putting herself last I love her more than anything and I never want to lose her!!! That would be our very good family friend. A survivor in many ways! 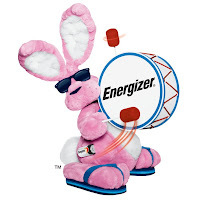 I follow Energizer Bunny on Twitter. I entered your Piggyback Bandz Giveaway. I would have to say my daughter, she goes from morning till night. A dear friend/mentor of mine who is the mom of 20. She is able to find the time to care for her family and do for others when they are in need. It is hard to find the words to truly describe the drive, energy and passion that she shows each and every day. My daughter--college student, wife, mother and grandmother! Entered the Kaitlin & Kylie giveaway. There's a teacher I work with who is always giving so much for her students, and her family, and the community. She never quits! My mother-in-law who makes it to her six grandchildren's many activities no matter the time, date, or location. My Grandpa.. He is almost 80 years old. But he Just keeps going and going and going. hes always busy and has the drive to do whatever he puts his mind to. I entered the Wrap-A-Nap giveaway. My sister! Married, two kids (both 4 and under) and almost done with her master's degree! I like to get Energizer batteries I can use them in my gadjets. My brother who never stops, he works from sun up to sun down and dealing with Krohn's disease too. I think my hubby. He works a hard manual labor job then comes home to make dinner. He also watches the kids on the weekend when I work a 12 hr shift.